Perfect proportions for your favorite espresso beverages, every time. There’s a new way to learn how to make the perfect macchiato, flat white, etc, and it doesn’t involve donning an apron and going to barista school. 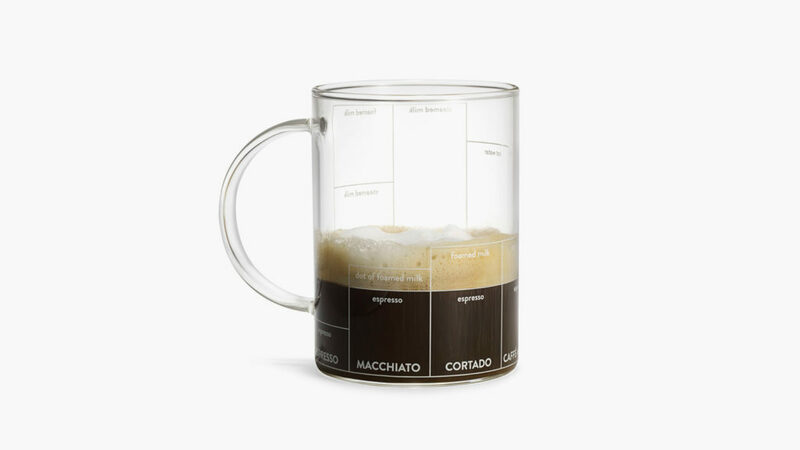 Crafted from borosilicate glass, the Multi-ccino Mug has the exact proportions for your favorite espresso beverages marked out on the mug itself. Never again guess how much steamed milk and froth you need for a cappuccino, cortado, latte, café au lait, or an Americano. You’ll get the ratios and proportions perfect, every time, with impressive accuracy. 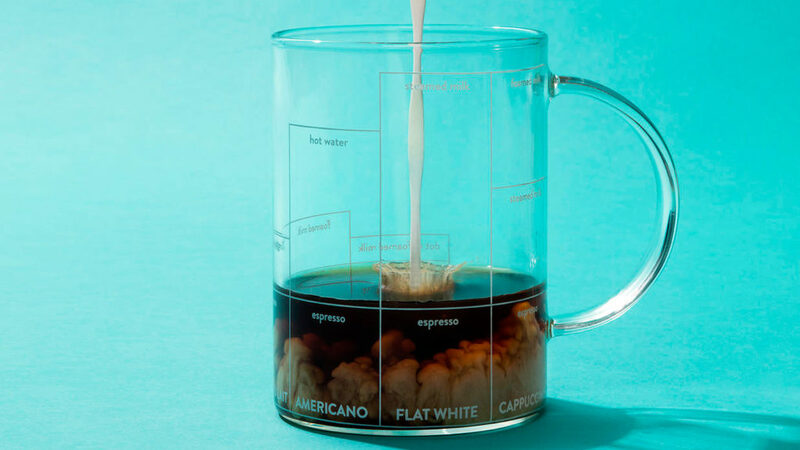 And on the days you just need a cup of good pour-over, the Multi-ccino is still a solid choice that looks way cooler than any of the other mugs in your cabinet.